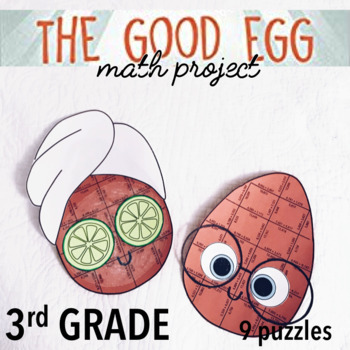 Students will be engaged in this "THE GOOD EGG" math project by putting together tarsia puzzles to ultimately create THE GOOD EGG! 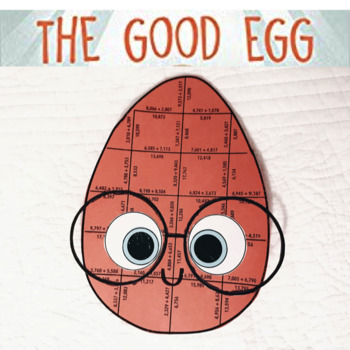 After reading The Good Egg by Jory John. 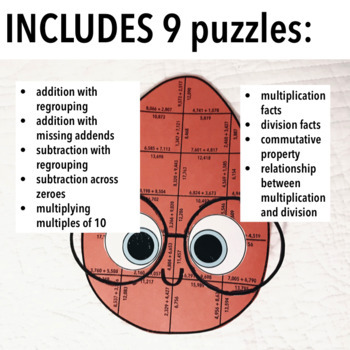 Includes 9 PUZZLES! 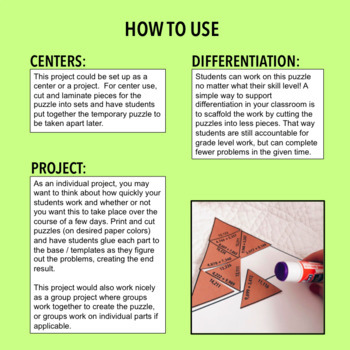 Your students will be ready to assess across math skills and ready to discuss their thoughts on the book after completing this engaging activity!